Adventure is out there – U District, Lets Go! 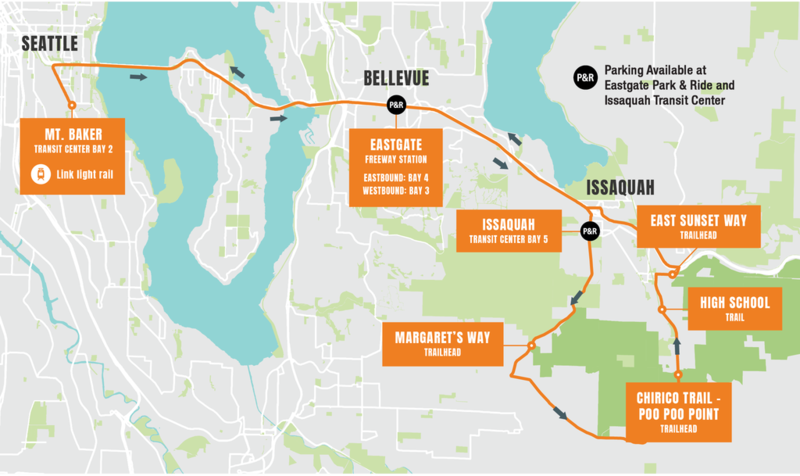 Have you ever wanted to get out of the city and utilize Washington’s beautiful hiking trails, but do not own a car? Do you have an ORCA card? If so, adventure is out there. Trailhead Direct, a pilot project sponsored by King County Parks and Metro’s Community Connections program, is helping make the great outdoors more accessible. You can take advantage this program every weekend, until October by using your ORCA card or paying the fare in cash. Don’t have an ORCA card? Stop by our next ORCA enrollment event. The next one is September 6, at the University District Food Bank from 2:00 p.m. – 4:00 p.m. Trailhead Direct will also be on hand, so you can ask them questions and learn more. Details here. Can’t make it? Visit King County Metro’s customer service office or check out the list of retailers here.